Delonghi EC330-s Review: How Does It Compare? De’Longhi is an Italian company well known for Artista Series espresso machines. It is an authority when it comes to coffee with its top Italian quality and groundbreaking designs. De’Longhi carries the cultural legacy in its coffee-making products and looks to the future without forgetting its values. The Delonghi EC330-s Pump Espresso Maker is more than just a simple espresso maker. It does great lattes and cappuccinos with simple three button operation. Sit back and let the machine do all the work. The unit looks stylish with the brushed stainless steel finish, its brewing performance is top notch, making quality espresso, latte or cappuccino fast and simple. This machine is a pump driven for ground coffee but can accommodate ESE pods for convenience. Not only that, the milk frother is reliable and user-friendly. The coffee filter allows you to make two cups of coffee at the same time. It is easy to use and you can make excellent coffee with a little practice. Uses ground coffee and ESE (easy serving espresso) with patented dual function filter holder. Comes with in-built steam pipe for manual frothing to give frothy creamy blends. There is no hot water but a comes with a large 1 litre transparent water tank which is removable, making the cleaning process easy. It is a device with lots of power, 15 bar of pressure to be exact with the potential to make more than just espresso. 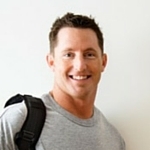 There is a self-priming operation which means annoying start-up preparation and it is always ready for use. Takes around 25 – 30 seconds for a shot. Stainless steel espresso boiler to last a long time. 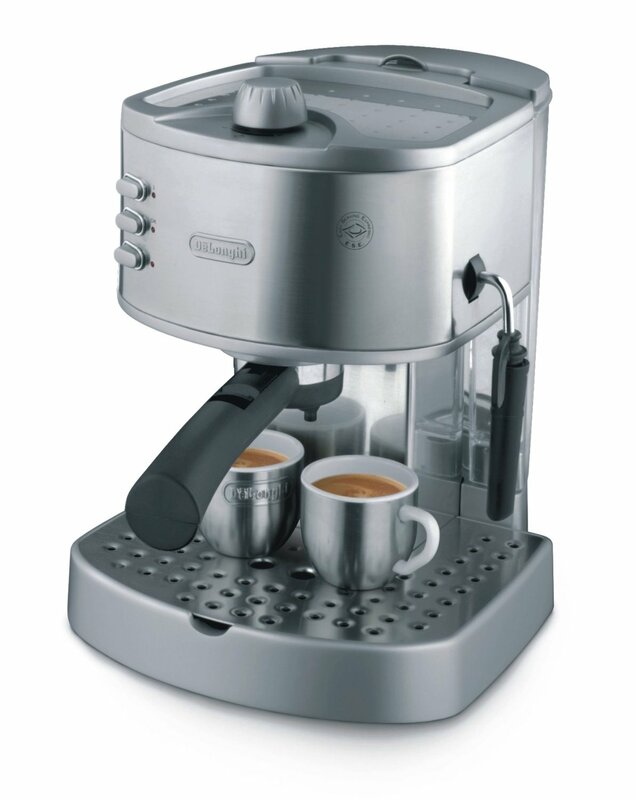 Delonghi EC330-s Pump Espresso Maker measures at 23 X 26 X 30 cm and weighs 4.8 kilograms. It comes with a 1 year warranty from the manufacturer, De’Longhi. There is on/off switch indicator light. There are many features for this unit like a removable drip tray that is deep, an area to warm your cups using passive heat, two separate thermostats to control water and steam pressure separately, an in-built coffee tamper, measuring spoon, crema filter holder, self-priming system and adjustable steam emission. 15 bars of pressure machine with powerful thermoblock heating system for optimal temperature control. Patented KRUPS Precise Tamp System for uniform tapping and even flavour extraction. Similar to Delonghi EC330-s Pump Espresso Maker, this unit uses wither ground espresso or pods. 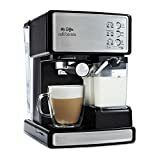 There are a few downsides to the Delonghi EC330-s Pump Espresso Maker, many have complained about the noise when you are brewing your coffee and the leaks. The noise will go away after some time and you can always contact the De’Longhi store for a replacement if you ever get a leak. Despite those shortcomings, one cannot go wrong with the Delonghi EC330-s Pump Espresso Maker with the brewing features and the design of the unit. If you are looking for value, convenience and style, then the Delonghi EC330-s Pump Espresso Maker is great for you. Let this attractive and professional-looking machine bring out the inner barista in you!